(Philadelphia, PA, April 9, 2019) Philanthropy Network Greater Philadelphia is pleased to announce Daria Torres, Managing Partner of the Walls Torres Group, as its first Executive in Residence. Daria will be joining Philanthropy Network in May and leading the inaugural Equity Cohort. Throughout the 12-month, immersive program, she will be supporting foundation leaders across the region as they use the Equity Maturity Model to institutionalize their organization’s commitment to equity. 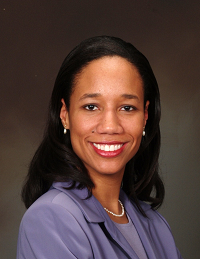 During her early career, Daria worked as a systems engineer with Lockheed Martin, where she honed her problem solving skills and “systems mindset.” She also worked as an Engagement Manager at McKinsey, sharpening her intersectional and lateral thinking skills as well as her ability to develop frameworks that bring order and understanding to complex issues. She earned a Bachelor of Science in Systems Engineering from the University of Virginia with a double major in Economics, a Master's in Systems Engineering from the University of Pennsylvania, and an MBA in Operations and Information Management from The Wharton School. She also currently serves as the Board Chair of Giving Cycle, an Alumni Trustee of the University of Virginia IDEA (Inclusion, Diversity, Equity, and Access) Fund, and is a founding member of the Philadelphia Black Giving Circle. As she prepares for the Executive in Residence role at Philanthropy Network, Daria is excited by the opportunity to have a lasting impact on the philanthropic sector’s commitment to equity and its ability to deliver tangibly on this commitment. She also looks forward to bringing her vast expertise and connections to bear as she engages with dynamic foundation leaders. When it comes to her hopes for the cohort and Philanthropy Network at large, Daria is clear that there is no silver bullet or “one size fits all” approach to the assurance of equity. She emphasizes that the work is multi-faceted and that every organization’s maturity curve will look different. While each journey will be unique, she sees tremendous value in learning from others and looks forward to helping cohort members engage in candid discussion that will help illuminate their paths forward. You can read more about Daria and her previous work at www.wallstorresgroup.com. The Equity Cohort is supported by a leadership gift from the Scattergood Foundation and is a component of Philanthropy Network’s comprehensive Equity in Philanthropy initiative, which is made possible with the support of the William Penn Foundation and the Samuel S. Fels Fund and led by the Diversity, Equity and Inclusion (DEI) Committee. Philanthropy Network Greater Philadelphia convenes and connects the funders as catalysts for positive action, innovation, and effective giving in our region, providing a unique forum for learning and collaboration. The Network brings funders together with community partners and leaders to spark solutions that foster a more prosperous, innovative and equitable region. More at: https://philanthropynetwork.org/.